Finer yet more sinister pirate’s booty won’t be found upon the seven seas. Our Ms. Doubloons has had the dubious pleasure of mastering the kiss of death. 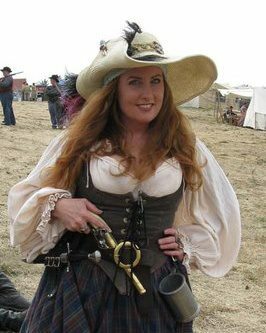 This sharp shooter carries gunpowder in her corset and bullet balls in her purse. A doxy of the highest caliber, she’s been known to lead a crew to victory when the frightened cannoneer becomes an undignified blunderbuss. A woman not to be scorned, a sorry fate awaits those limp and soggy sailors who dare to cross her. Legend tells of the salty rapscallions who’ve not made good on their promises—whether it be gifting to her a richly fine portion of their treasure and turning into mean and stingy misers, or declaring their undying devotion only to be found with some poxy tartlet—they beg to walk the plank over shark-infested waters rather than face the wrath of this treasure of a wench. Duncan MacGregor was sold into indentured servitude to a Sea Captain by his parents in Glasgow, Scotland, because as the 10th child in the family he was never going to have any inheritance or life. He shipped out as a cabin boy at age 9. Over the years he learned Navigation and how to command a merchant ship, as well as the business of merchants, reading, math and writing. In 1682 the ship he was on was “taken” by a ship of the Royal Navy, and he was pressed into service. He quickly learned cannon gunnery, and rose to Gun Captain. In an odd situation, his ship was in port with some Privateers, and an enforced trade was made for him (the Navy needed a medical officer). The first engagement of the Privateer with Duncan aboard did not go well, but Duncan took command of the guns and turned certain defeat to victory. The previous Quartermaster was killed in that action, and Duncan was elected Quartermaster. He has since allied with Captain Michael McLeod, and the two of them have become quite successful in their “business” endeavors. Isobel has practiced the art of sewing since she was a wee young lass in Beauly, Inverness-shire, in the highlands of Scotland. Now she is a professional seamstress sewing clothing for sailors and townsfolk. 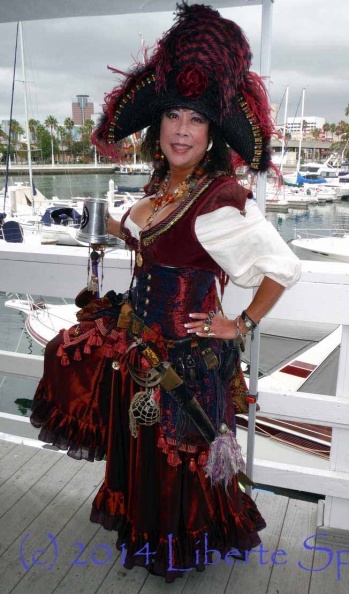 In order to live in the style she desires, she has also sold stolen goods for the privateers. She have also been known to play a wee tune or two on the pipes. 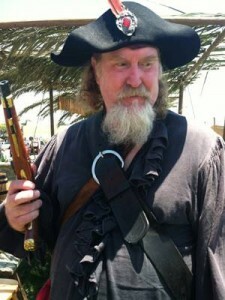 Roger Cochoran, also known as “Roger the Red” is a Gunner aboard the sloop “Morning Star” and a full time drunk. 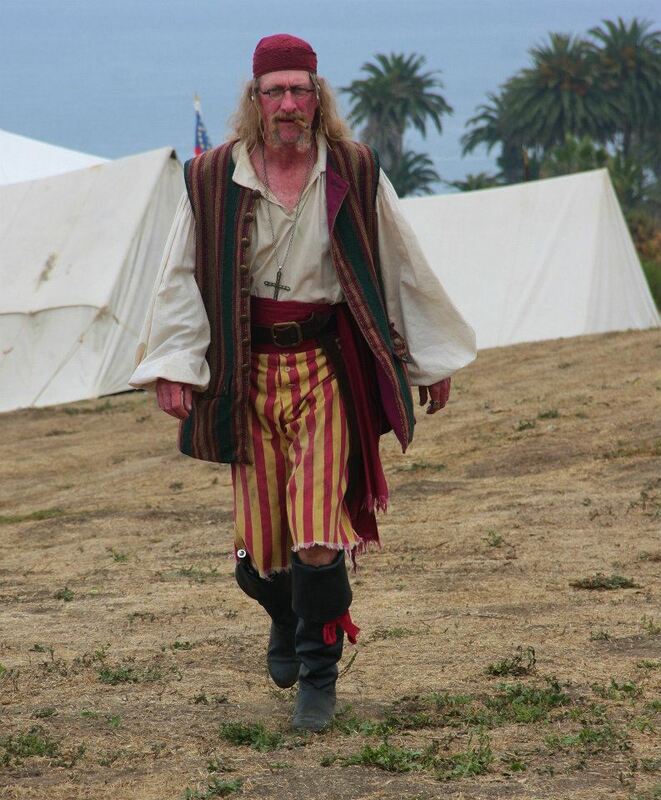 He got his nickname from Captain Macleod, who called him “Red” for his Red hair and perpetually flushed face, a by-product of too much sun and rum. He learned cannonry under the tutelage of Quartermaster MacGregor and Lieutenant Ripper, who ollen smacked him in the head with the rammin’ mop to keep his attention focused. When he is not serving the guns, his habits are drinkin’ rum, singing shanty’s and playin’ guitar for his Fo’c’sle mates, drinkin’ rum and creatin’ crappy jewelry from pilfered trinkets to sell to his mates and buy more rum. And drinkin’ rum. As he is a rather portly olde salt, he never climbs the ratlines and is often sent down into the hold to act as ballast when the ship is lightly loaded. It is fortunate that most enemies surrender to the “Morning Star” almost immediately as his aim is very poor. He once sank a Spaniard while trying to put a shot across her bow. He is semi-literate and often writes irritating misspelled missives while aboard, resulting in threats of flogging from the Quartemaster. A right lout is Roger the Red. Ahoy Mates! My name is Liberté Sparrow and I sail the Caribbean, Florida and the Gulf Coast. I have been known to frequent other ports friendly to those who ply my trade. 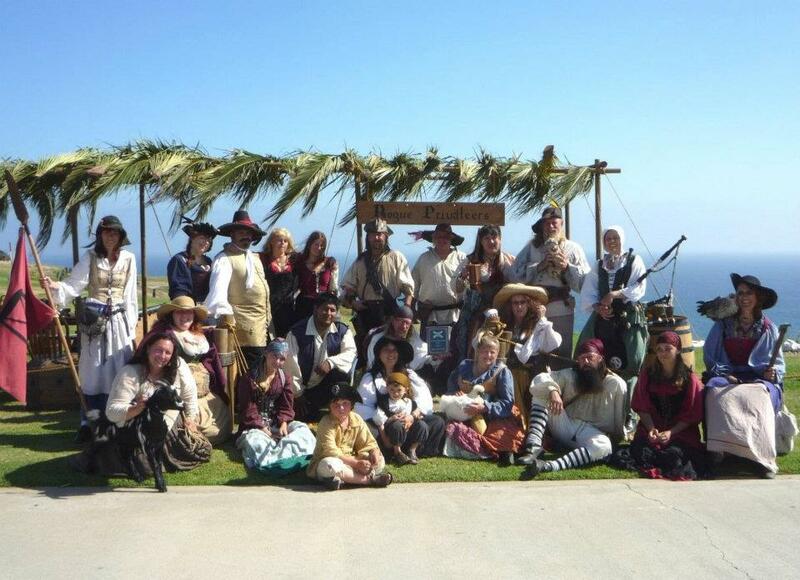 I belong to a pirate crew called the Rogue Privateers, a re-enactment group who portrays the romance, history and life of pirates, privateers, buccaneers and the like, mainly from the 1600’s to the 1800’s. 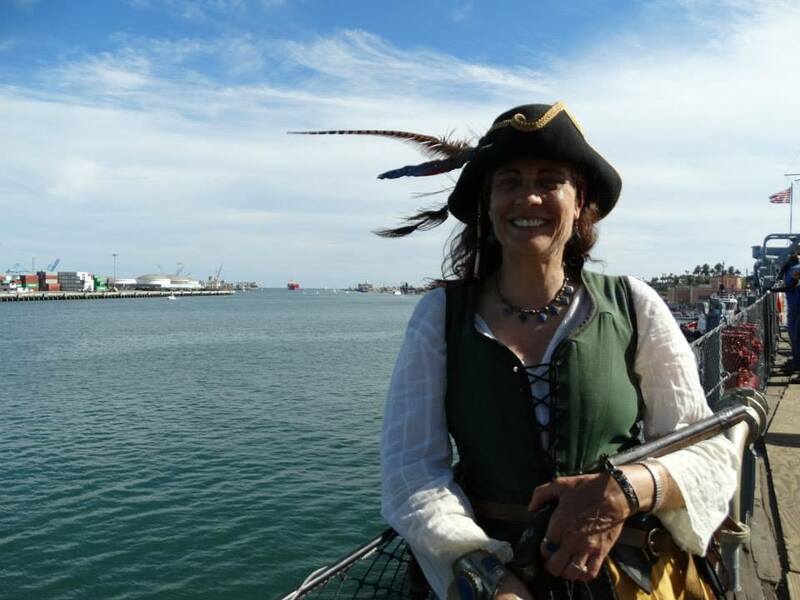 I also sail on my own or with other crews and dock in new ports when the opportunity arises, as a good pirate always pursues what pleases them and is most advantageous. 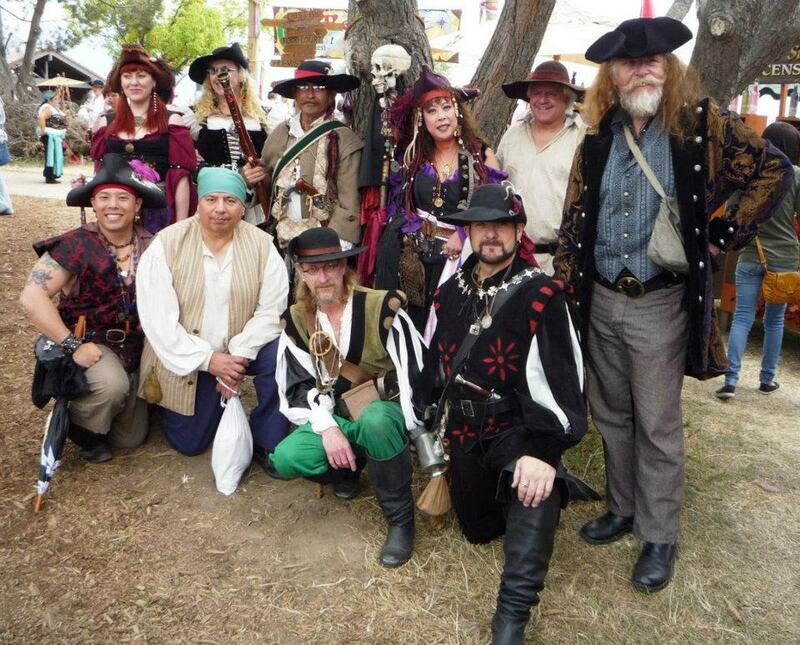 A successful pirate has many opportunities to pursue for fun, music, food, drink and prizes! 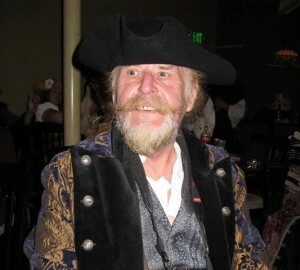 I also play the Bodhrán, or Celtic folk drum, percussion as well as a drum kit with a couple of pirate bands, as well as sing and play various other drums and percussion. I also enjoy finding other fyne pirate musicians to jam with and love to entertain my mates and those from other ships. Liberté is also the Arabic Pirate Harriyeh, a belly dancer from the Barbary Coast. 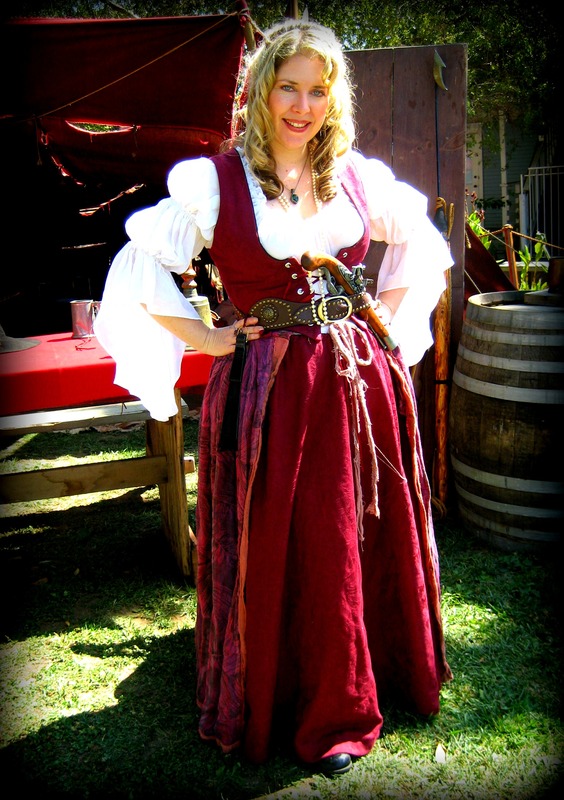 Harriyeh sails the seas as a pirate, originally captured by corsairs, where she danced to entertain and lulled them into falling in love with her and her dancing, and they spared her life. Harriyeh entertains the crew when they make merry aboard ship and in port. Born Annabelle Lorelei Flint on June 26, 1664 in Cheshire, Wales (Flintshire County which lies in Northeast Wales), to Captain James Thomas Flint (July 23, 1638-January 17, 1692) and Maura Elizabeth Stewart (May 1, 1643-April 10, 1674). Anne and her parents lived in Cheshire until she was 10 years old, when her mother passed. Her father had been in the Royal Navy from 1653 to 1659, at which time he acquired the schooner, “Golden Oak.” He sailed as a merchant ship for hire from 1659 to 1666. As times were hard and sailing a merchant ship was dangerous and not very profitable, he requested and was granted a Letter of Marque from the English government, changed the schooner’s name to “HELLHOUND” and became a privateer. In 1674 when Anne’s mother passed, her father had no alternative but to take his 10 year old daughter along on his nautical “excursions.” Having learned to cook, sew, brew beer and make soap from her mother, she soon applied those skills on board the HELLHOUND. James decided to take his daughter and crew to the new English colonies of the Americas in 1674 to seek his fortune there. Anne sailed with her father until his death in 1692. 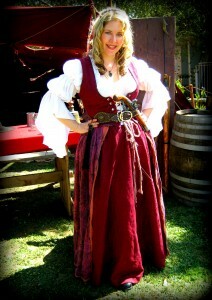 During that time she had also acquired the necessary skills of the cannon crew, flintlock and swordsmanship. It was also during this time that she became affectionately known as Rum Annie due to her somewhat obsessive readiness to join in a fight. After her father’s death, Rum Annie took over the Captain’s duties and renamed the ship, “Miss Fortune.” She continued to sail until 1702 at which time she leased the Miss Fortune to her loyal crew for a small percentage of their take and opened a tavern in New York (The Nags Head) on the Hudson River. Finding that the mundane life of a business owner didn’t suit her, she signed on as a gunner with the Morning Star and has since attained the rank of Lieutenant although she still mans the cannons when duty calls.